Bonjour! This is the post I've been looking forward to share on Dream. Love. Shop. for a long time. This time I had an absolutely special luxury destination. Remote from the Cote d'Azur - St Tropez has its own spirit "tropézienne". Those of you who had seen my picture on Instagram from the Dior Villa already know my destination. When you come to St Tropez you feel the fashion in the air. 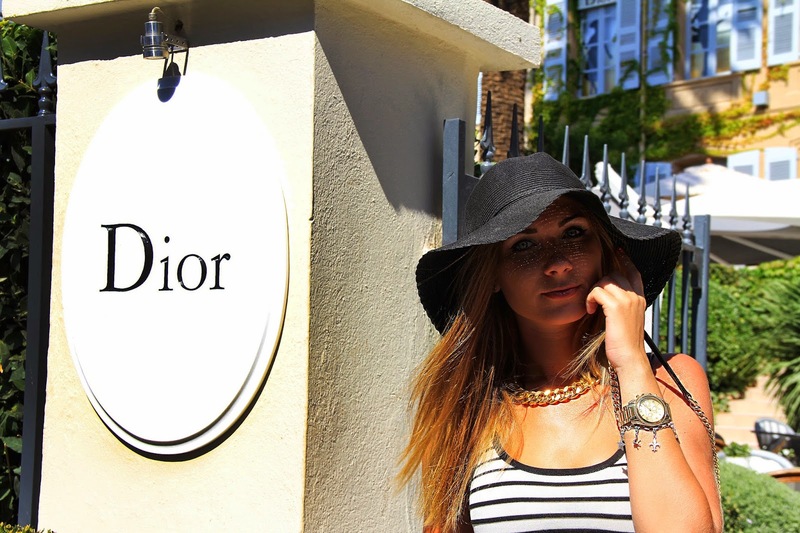 And Dior and Chanel houses especially, are must-go places for every fashionista. 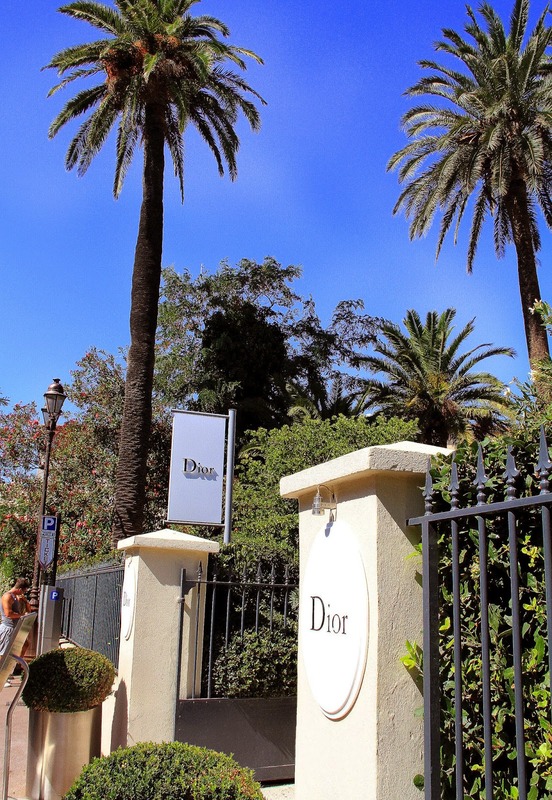 Dior restaurant "Dior des Lices" can offer you an amazing breakfast or lunch in one of the most iconic corners of St Tropez. 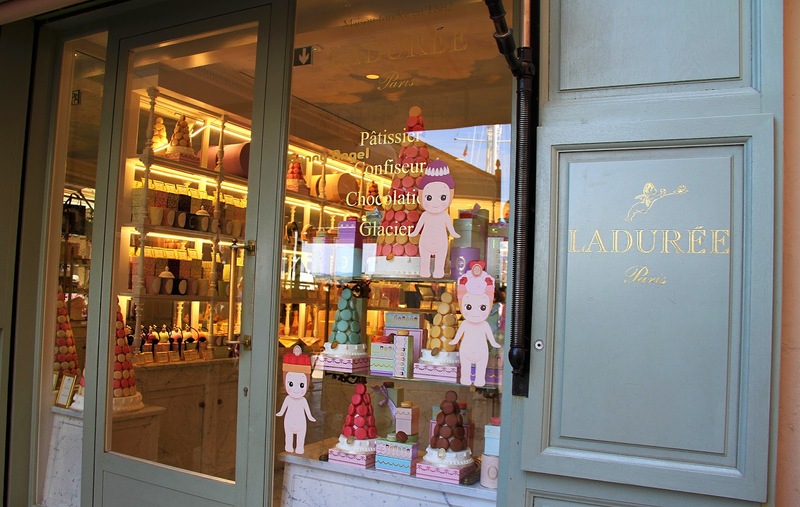 You'll never guess from which place I am posting my look tropézienne. At the moment I am in the middle of my french class at school. No, I am not a bad student. I am just a blogger, and every bloger would understand. Hope my French skills won't suffer a lot. The outfit of the day is summery and marine. Stripped dress with a hat gives you the feeling of belonging to the place. You look just beautiful! Love your dress! Piękna sukienka, a na zdjęcia aż miło popatrzeć jak u nas deszcz i szarówka za oknem :).